For over fifty years, Hoyt Wire Cloth has been providing cost-effective screening products and solutions for our customers in the crushed stone, sand and gravel, slag, concrete recycling, asphalt, RAP and coal industries. 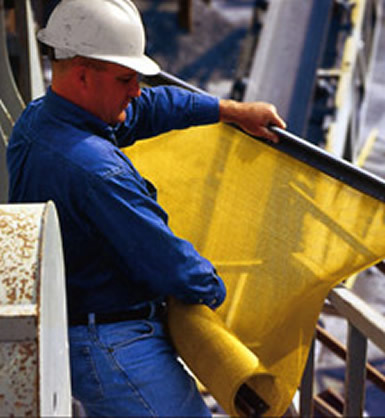 Our goal is simple: We are dedicated to reducing your screening cost per ton. When you deal with Hoyt, you will be talking to a regional manager who is also a certified aggregate technician, or to one of our factory-backed, authorized distributors. Either way, your particular application will be evaluated and a customized solution will be developed using one or more of our vast array of unique screening products. Our inside sales staff receives ongoing field training and is recognized for offering the finest service in the wire cloth industry.